As a public policy researcher, I’ve thought a lot about how governments can improve the lives of citizens and achieve their social, environmental and economic goals. Sometimes policy is a reaction to urgent demands from the public. Other times it emerges as a response to new research. Ideally, good public policy takes into account citizens’ values and perspectives andresearch findings. Canadian scientists and researchers are exploring new technologies by applying nuclear instruments and methods. In Saskatchewan alone, there are exciting developments in the areas of health, medicine, engineering, physics and social science. Dialogue between researchers and the public is needed to facilitate public policy that takes advantage of new innovations and reflects our values as a society. There are a wide range of public policy questions that emerge from nuclear research. Which medical procedures should be publicly funded? How aggressively should we control air pollution? Where should we locate long-term storage facilities? What kinds of energy options do we wish to pursue in our cities? In the fields of medical and health research, nuclear technologies are providing new ways of investigating problems. Examples include ways to diagnose complex diseases or understand the effect of pollutants on the body. The nuclear materials that are used for such research are often only available from major centres, and so developing local sources is crucial for the success of nuclear research in Saskatchewan. Radioisotopes are atoms whose nuclei have the potential to eject radiation to lower their internal energy. Over time, the intensity of emitted radiation decays as more and more of the nuclei are transformed to their lower energy state. Radiocarbon dating is among the most popularly known applications of the study of radioisotopes. Because they know the rate of decay of the radioisotope Carbon-14, scientists can determine the age of organic material by measuring how much Carbon-14 it currently contains. In nuclear medicine, doctors use radioisotopes to both diagnose and treat diseases. Nuclear medicine is particularly promising for the early diagnosis and treatment of Parkinson’s disease. Currently, Parkinson’s disease tends to be diagnosed only in its later stages, once the patient already has all of the symptoms. Clinical trials using FDOPA, a drug that is labelled with a radioisotope, have begun. Radiologist Rajan Rakheja, the principal investigator of the study, hopes that this will allow clinicians to diagnose Parkinson’s patients earlier and more accurately. One challenge for nuclear medicine is that the radioisotopes used for pharmaceuticals decay completely within a matter of days. To address this, radiopharmacist Humphrey Fonge and his team have developed a new automated and cost effective method of producing radioisotopes locally, including Zirconium-89, which eliminates some of the issues created by having to transport the material from other places. Other researchers have taken advantage of the opportunities for nuclear imaging provided by the cyclotron — a compact particle accelerator — operated by the Sylvia Fedoruk Canadian Centre for Nuclear Innovation. For example, medical imaging researcher Gurpreet Aulakh uses the cyclotron to generate images of the impacts of ozone, a major component of smog, on lungs. The Saskatchewan Centre for Cyclotron Sciences. Scientists in Saskatchewan are also contributing to the study and development of nuclear technologies. For example, physicist Chijin Xiao and his team are studying the physics of fuel injection in Tokomak devices at the University of Saskatchewan in pursuit of the long-held dream of producing limitless fusion energy. At the University of Regina, researchers are developing components of the new major electron beam facility at the U.S. Department of Energy’s Jefferson Lab. Others, such as Esam Hussein and his team at the University of Regina, are investigating the technical criteria for siting next generation small modular reactors that have the potential to provide safe and cost-effective energy, particularly in remote and northern communities. Social scientists in Saskatchewan are also involved in advancing our knowledge about nuclear technologies and their deployment. Researchers at the Centre for the Study of Science and Innovation Policy are investigating public perceptions of low-dose radiation from the natural radioactivity of the world around us and voluntary exposure from medical diagnoses or air travel. In other work, political scientist Kalowatie Deonandan is part of a team exploring the concept of “social licence to operate,” a term that is commonly used to indicate that a project has public approval. But as Deonandan explained at the NuclearFACTS Peer-to-Peer Forum in October 2018, unlike the legal requirements for clear and informed consent, there is no consensus about what social licence means, how it is achieved, how it might be withdrawn or what should be done if it is withdrawn. Claiming social licence, therefore, may hide disagreements and conflict and undermine the legitimacy of a project. This is particularly important as we explore opportunities for long-term storage of nuclear materials and for deploying new energy generation technologies, such as small modular reactors. There are lots of exciting new developments in nuclear research in Saskatchewan alone. But we need to do better at making these innovations known by discussing their implications with interested citizens and policymakers. Researchers can contribute to fruitful conversations by explaining their work in plain language and being open to discussion with the public. However, this is far from a simple task. 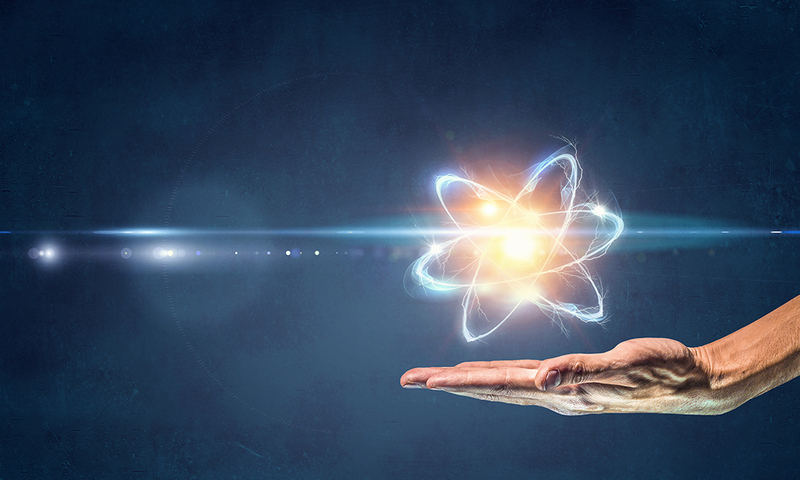 Nuclear research is often highly technical and deeply embedded within the norms and knowledge base of a particular (and relatively small) group of scientists. Even among academic researchers, it is difficult to find common language and understanding across a wide range of fields of study including chemistry, engineering, physics, biology, medicine, political science and public policy studies. Outside of academia, Canadians are even more diverse — with varying experience, education, values and concerns. There are many ways that ongoing, well-funded nuclear research can contribute to Canadian society. It can improve access to medical diagnoses and treatments, inform environmental standards, create opportunities for new energy sources and help us to better understand relationships between energy and mining proponents and the public. But in order to realize the benefits of this research, as researchers we must openly and clearly communicate with the public. Effective communication must be collaborative. Scientists need to tell interested citizens about the benefits of their findings in non-technical language, and be honestly and actively engaged in listening and responding to their concerns and critiques. Good science doesn’t automatically translate into public acceptance or good public policy.